I thought anyone reading my rather gloomy recent posts could probably do with a laugh so I thought I’d put this up. The item is daft, I know, and I don’t really believe any of that stuff about wormholes… but it was great fun doing it. The other day I was giving a talk about cosmology at Cardiff University’s Open Day for prospective students. I was talking, as I usually do on such occasions, about the cosmic microwave background, what we have learnt from it so far and what we hope to find out from it from future experiments, assuming they’re not all cancelled. Quite a few members of staff listened to the talk too and, afterwards, some of them expressed surprise at what I’d been saying, so I thought it would be fun to try to explain it on here in case anyone else finds it interesting. The above image shows the variations in temperature of the cosmic microwave background as charted by the Wilkinson Microwave Anisotropy Probe about five years ago. The average temperature of the sky is about 2.73 K but there are variations across the sky that have an rms value of about 0.08 milliKelvin. This corresponds to a fractional variation of a few parts in a hundred thousand relative to the mean temperature. It doesn’t sound like much, but this is evidence for the existence of primordial acoustic waves and therefore of a Big Bang with a genuine “Bang” to it. A full description of what causes these temperature fluctuations would be very complicated but, roughly speaking, the variation in temperature you corresponds directly to variations in density and pressure arising from sound waves. If we do this, scaling both pressures in logarithm in the equation in proportion to the ambient pressure, the ambient pressure cancels out in the ratio, which turns out to be a few times 10-5. With our definition of the decibel level we find that waves corresponding to variations of one part in a hundred thousand of the reference level give roughly L=100dB while part in ten thousand gives about L=120dB. The sound of the Big Bang therefore peaks at levels just over 110 dB. As you can see in the Figure above, this is close to the threshold of pain, but it’s perhaps not as loud as you might have guessed in response to the initial question. Many rock concerts are actually louder than the Big Bang, at least near the speakers! Yesterday was the occasion of the Annual Ball of the Cardiff University School of Physics & Astronomy‘s Student Society Chaos held in the Cardiff Arms Suite of the Millennium Stadium. I had reservations about going because things like this always make me feel very old, but having been persuaded I was determined to have a good time. It turned out to be very enjoyable, so much so that I ended up moving on with some others to a nightclub to continue the party into the small hours. I think I kept up with the youngsters quite well, although I was well and truly knackered when I got home. There was about a hundred people at the Chaos Ball, the vast majority of them students in the department. Not many staff members went along, although those that did all seemed to have a good time. These social events are quite tricky to pull off for a number of reasons. One is that there’s an inevitable “distance” between students and staff, not just in terms of age but also in the sense that the staff have positions of responsibility for the students. Students are not children, of course, so we’re not legally in loco parentis, but something of that kind of relationship is definitely there. Although it doesn’t stop either side letting their hair down once in a while, I always find there’s a little bit of tension especially if the revels get a bit out of hand. To help occasions like this I think it’s the responsibility of the staff members present to drink heavily in order to put the students at ease. United by a common bond of inebriation, the staff-student divide crumbles and a good time is had by all. A couple of other incidents that happened this week serve to illustrate related issues. On Thursday we had to evacuate the building because the fire alarm went off. It turned out that some work being done on the roof had triggered a smoke detector. Although it wasn’t a real emergency, four fire engines arrived and we all stood outside for the best part of an hour while they figured out what had happened and, curiously, how to switch the alarm off. Standing outside, staff and students chatted casually while waiting to be let back into the building. It was sunny, which added to the conviviality. I realised, though, that I’d never really spoken to many of my students like that before, i.e. outside the lecture or tutorial. I see the same faces in my lectures day in, day out but all I do is talk to them about physics. I don’t know them at all. It’s strange. The other thing was yesterday morning where I was giving one of my first year lectures on Astrophysical Concepts, a course which I really enjoy teaching. The topic was supernovae and it’s a lecture which I always end by doing an impersonation of a supernova explosion. If you want to see it, you’ll have to sign up for the course. The Shape of Things to Come.. The implications of this week’s budget for astronomy are gradually becoming clearer although a full picture is yet to emerge. STFC’s budget of £491 million for 2009-10 is evidence of the Government’s commitment to investing in science in a period of severe national and global economic uncertainty. 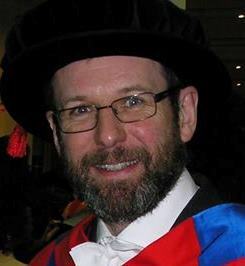 Professor Mason said the near cash* budget of £491 million was more than the Council’s allocation in the Comprehensice Spending Review (CSR07), thanks to assistance from the Department for Innovation, Universities and Skills (DIUS) in the form of a loan and compensation for foreign exchange exposure. This outcome follows extensive consultation between DIUS and the Research Councils to ameliorate the effect of the fall of the pound. However, it will unfortunately not allow STFC to fund the full science programme planned under its Programmatic Review. Professor Mason said STFC would now consult on reprioritising its programme across the remainder of the CSR period. This consultation will cover both the short-term items required for 2009-10, and a longer term process to ensure stable platform for planning in the medium to longer term. Council will discuss options for 2009-10 at its meeting on the 28th April. “For its part STFC has already imposed a series of internal savings, including on travel and severe restrictions on external recruitment. We will seek to identify further savings in order to concentrate resources on funding our core research programme,” Professor Mason said. It appears, then, that there is to be short-term assistance from the effects of currency fluctuations but this will be in the form of a loan that will eventually have to be paid back from savings found within the programme. I suppose something’s better than nothing, despite the bland language, it is quite clear that we are heading for big cuts in the STFC programme and astronomy will not be immune. Although the Budget maintains an existing commitment to ring-fence the science budget, DIUS had reportedly sought a £1 billion increase in funding for scientific research as part of a stimulus package designed to use science to boost the economy. Instead of this, research councils will be required to make £106 million in savings, which will then be reinvested elsewhere intheir portfolio “to support key areas of economic potential”. We await details of where these “savings” will be made. My current understanding is that the STFC needs to find about £10 million immediately although whether this is on top of or including its share of the overall “efficiency savings”, I don’t know. In any case it is clear that this money will be taken from pure science programmes and spent instead on areas deemed to have “economic potential”. It looks like we’re all going to have to hone our bullshitting skills over the next few years. Off the Wall is a small contemporary art gallery in Llandaff, about 15 minutes walk from my home in Pontcanna, Cardiff. I went there this evening to a private view of some works by Norwegian artist Jorunn Monrad, who lives and works in Milan. The artist herself was there and I got the chance to talk to her over a glass or two of pink champagne after looking at the paintings. The works on view in her exhibition were all made this year, and they were produced with a technique developed in the Middle Ages that involves egg and casein tempera. The paintings are brilliantly coloured abstract works that involve structures built up from representations of tiny proto-animals, meticulously painted all over the linen background so that they build up to larger structures. The dramatic colour palette produces interesting visual effects, at times revealing and at times obscuring patterns present in the paint. The intricate detail and luminous colouring makes for a vivid but sometimes perplexing whole. Here is an example (although the digital image doesn’t really do justice to the original). My works are rooted in an imagery from my childhood: the snakes of the wooden sculptures of Viking and mediaeval Norwegian art, the forms that were created by nature, like branches, cloudsm forms of branches. The fables, the mysterious nature has also played a part. I have also done research on phenomena that are triggered by the imagery, one may say biological, on which precisely the visions of forms that repeat themselves during falling asleep and waking up can create this kind of visual effects. From this I have obtained a kind of module, that is a kind of biomorphic form, rather than one specific animal or other, that is merely the building brick of of the structure, but that is multiplied in forms that are vertiginous and sometime perhaps unsettling. The idea is to create a dreamy, moving atmosphere that is nevertheless very different from the effects of op art, in short a less clashing, more “natural” effect. The effects she achieves are, in some sense, a variation on those I blogged about previously but with elements that are entirely original. If you’re in Cardiff this small exhibition is well worth seeing. Her paintings are for sale too, with a surprisingly modest price tag. I’m seriously thinking of investing in one myself, in fact. The exhibition continues at Off the Wall, The Old Probate Registry, Llandaff until 30th May 2009. Like many of my colleagues I’ve been looking nervously through the lengthy documents produced by HM Treasury to fill in the details of the Chancellor’s Budget speech. I was hoping to find some evidence of a boost for science that might filter down as a rescue package for STFC and might dispel the rumours of savage cuts in the Astronomy programme. Unfortunately I didn’t find any. No real details about the science programme are given in the lengthy budget report, at least not that I could find this afternoon. There are, however, a couple of worrying pointers that things might be going from bad to worse. An additional £106 million of savings delivered by the Research Councils within the science and research budget to be re-invested within that budget to support key areas of economic potential. Both of these look to me like indications that money will be diverted from pure science into technology-driven areas. Far from there being a boost for astronomy, it looks like we face the opposite with money being squeezed from us and re-allocated to areas that can make a stronger case for economic potential. Applicants for STFC rolling and standard grants will now be required to produce an impact plan, identifying the potential economic impacts of their proposal. The change takes effect from 21 April 2009 and will affect grants rounds from autumn 2009 onward. The change follows a 2006 Research Councils UK project, and subsequent Excellence with Impact report, into the efficiency and value for money of Research Council peer review processes. The report recommended the Research Councils improve guidance to applicants and peer reviewers to ensure a shared understanding about the value of identifying the potential economic impact of research, and that the new requirements be supported in electronic application systems and guidelines. More details of the spending priorities of DIUS within its overall budget will no doubt emerge in due course and they may yet reveal a tonic of some sort for STFC. What seems more likely, however, is that any such funds will be aimed at space gadgetry rather than at science. I have a feeling that the impact of the economic downturn on UK Astronomy is going to turn out to be dire.